Customized leather strap Size/thickness/width changes can be made to your liking Leather/stitch/wrap (can be supplied with a buckle) for a tailored strap #Product does not include watches Please write to us to ask for the customized content you want, and will quote you according to the materials used and the difficulty of production. 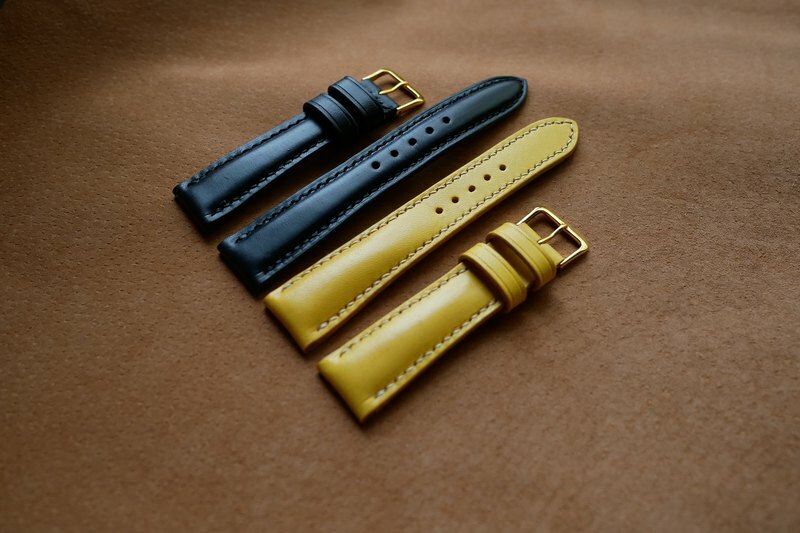 Product Information- Leather: Buttero/matte/horse leather/snake/shark leather Suture: Amy roke twine Strap edge: rough style / hand edging / edge oil (multi-color optional) Clasp: stainless steel (pin buckle / butterfly buckle / folding buckle) Thickness: 2.5mm / 3mm / 4mm (can be selected according to personal preference) Leather color - https://farm1.staticflickr.com/855/28878530307_e4cc5cce15_z.jpg https://farm2.staticflickr.com/1898/43529356915_b5afc306a0_k.jpg https://farm5.static.flickr.com/4800/40037196354_c8851e4355_z.jpg Suture color - https://farm5.static.flickr.com/4779/40704735972_53e8f62fa5_z.jpg Clasp- Clasp (1) Size: 16/18/19/20/21/22 mm Silver Clasp (2) Size: 18/19/20/21/22/24/26 mm Silver/Black Clasp (3) Size: 18/20mm silver https://farm5.static.flickr.com/4792/40037186304_c33f41d916_z.jpg Table bandwidth Size: 18/19/20/21/22/24/26 mm Strap thickness (can be chosen according to personal preference) Strap edge With/without hot pressing decorative line Edge edging / edge oil treatment / rough treatment You can freely match your unique strap with your ideas. *Welcome to the message or E-mail to ask for discussion Life1987523 @ gmail . com . tw Please note before placing an order: 1. Leather is a natural product. Because it retains the most natural state of leather, the surface may have lines. 2. Photo and actual product, due to the difference between the screen and the camera, the color must have a drop, whichever is the actual product. 3. If you are unable to accept the above, please do not place an order.